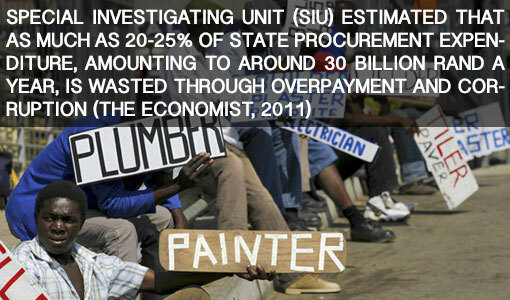 SASFED - The South African Screen Federation: Unite Against Corruption! Enough is Enough! The Unite Against Corruption campaign is growing in momentum with numerous faith-based institutions, civil society organisations like Right2Know and the Treatment Action Campaign (TAC), private sector companies and individuals like Francois Pienaar and Jay Naidoo expressing their support for the Campaign. A day of action is being planned for Wednesday 30 September 2015, with two mass marches being scheduled for Pretoria and Cape Town, and a series of other activities will take place around the country as South African citizens proclaim “Enough is Enough” with regard to the high levels of corruption, and the devastating impact this has on our society. More than 700 arts practitioners and other stakeholders in the creative sector have publicly endorsed the day of action against corruption; these include writers Zakes Mda, Mark Gevisser, Margie Orford and Paul Grootboom, actors Sandra Prinsloo, Sharleen Surtie-Richards, Mncedisis Shabangu, Gcina Mhlope and Marius Weyers and musicians Marah Louw, David Kramer, Concord Nkabinde and Karen Zoid. The organisers have set a goal of 1000 organisations and institutions to endorse the Campaign. There are three subcommittees helping to organize the arts and creative sectors as part of the campaign in Johannesburg, Durban and Cape Town. Collectively, we would like to have at least 100 arts, culture and heritage organisations endorse the campaign nationally, accounting for 10% of the total number of endorsing organisations. Thus far, we have concentrated on recruiting arts individuals with strong brands within and outside the sector. Organisations that have already endorsed the Campaign include the South African Guild of Actors (SAGA), the Performing Arts Network of South Africa (PANSA), African Arts Institute (AFAI), ASSITEJ, Arts and Culture Trust (ACT), the Visual Arts Network of South Africa (VANSA), the South African Screen Federation (SASFED) and the Writers' Guild of South Africa (WGSA). What is the Unite Against Corruption Campaign? It is estimated that corruption has cost South Africa in excess of R700 billion in the last 20 years, and that about R30 billion is lost annually in state procurement expenditure through over-payment and corruption. The Unite Against Corruption campaign comprises organisations and individuals from across South Africa, who are coming together – irrespective of religious beliefs, colour, language, political affiliation, etc - to take a stand against corruption, not only in the public sphere, but also in the private sector, civil society, religious and other sectors too. The initial objective is to mobilize thousands of citizens to march against corruption in Pretoria and in Cape Town on Wednesday 30 September 2015. Which organisations and personalities are involved in the Campaign? Organisations that support Unite Against Corruption include Corruption Watch, Right2Know, the Desmond and Leah Tutu Legacy Foundation, Equal Education and Opposition to Urban Tolling Alliance (OUTA), while Francois Pienaar and Jay Naidoo are among the high profile personalities that have expressed their support for the Campaign. To which political parties is the Campaign aligned? While there are trade unions and other politically-oriented groupings and individuals involved in the Campaign, the Campaign itself is strictly non-partisan and non-sectarian in nature, inviting everyone to be part of it, without aligning to any particular political party, faction or entity. Through the mass marches, the Campaign hopes to unite South Africans against the cancer of corruption, send a message to those in power that we have had enough of corruption and to empower ordinary citizens to take action in order to hold accountable those in decision-making positions. A set of demands is being drafted that includes party political funding to be made transparent, that those accused of corruption face the law and are not relieved of their positions with golden handshakes, that corruption whistle-blowers are protected, that the office of the Public Protector be respected, and that lifestyle audits of those seeking public office be undertaken. This set of demands will be handed to the authorities at the end of the marches, after which the Campaign will continue to undertake activities in pursuit of these and related anti-corruption objectives. Why should artists and cultural organisations be involved in this Campaign? Just as artist are affected and lose money like anyone else when load-shedding occurs, artists are citizens and are as affected by corruption as other citizens. More specifically, government departments and public funding agencies responsible for arts and culture lose millions to corruption; artists lose out on payments when unscrupulous promoters cream off hundreds of thousands of rands, and freedom of expression is compromised when artists are silent about corruption for fear of alienating decision-makers and those who control purse-strings. The Campaign encourages artists to take a stand against corruption within our own sector, and to build alliances with others in the fight against the scourge of corruption. Which artists and arts organisations have endorsed the Campaign? More than 700 individuals in all art disciplines have already endorsed the Unite Against Corruption Campaign, including well-known artists such as Zakes Mda, Karen Zoid, Shaleen Surtie Richards, Marius Weyers, Gcina Mhlope, Maishe Maponya, Sandra Prinsloo, Vinette Ebrahim, Jay Pather, Mncedisi Shabangu, Beezy Bailey, Ismail Mahomed, Siv Ngesi and David Kramer. The South African Guild of Actors, Visual Arts Network of South Africa, Arts and Culture Trust, ASSITEJ, PANSA and the African Arts Institute are among the organisations that have expressed their support for the Campaign. What is expected of artists/institutions should they endorse the Campaign? Individuals can simply endorse the Campaign, lending their celebrity and name to encourage others to support the Campaign. They may also recruit friends, family and supporters to participate in the marches, engage in creatively supporting the campaign through poetry, music, film, visual images, etc, help to organize creative interventions in the build-up to and during the marches, and contribute funding, particularly to the arts component of the Campaign. Institutions may circulate pamphlets to their supporters to encourage their involvement in the marches. What is the “arts component” of the Campaign? Already artists engaged in the Campaign have contributed visual imagery, stand-up comedy, street theatre and poetry as part of an anti-corruption picket outside parliament. There are plans to infuse the marches with creativity e.g. puppets, poetry, music, etc as well as to engage in creative interventions to build support for the marches in the ten days leading up to 30 September. After the Cape Town march, there are plans to host a public, open-air concert near parliament. Where necessary, we would like to be able to assist as many artists to participate in the marches, and to prepare banners, placards and T-shirts that are creative and speak to our issues. Are there particular arts-related demands of the Campaign? The Unite Against Corruption campaign has invited all sectors to submit demands to be included in the list of demands to be pursued by the Campaign. One idea that has emerged from among the arts people engaged in the Campaign is for the equivalent of an “Arts Protector”, an independent mechanism to whom those in the arts and culture sector who experience corruption, may report such instances for investigation, exposure and action. Who’s driving the artists’ involvement in the Campaign? Three ad hoc committees exist in Johannesburg (coordinated by Gita Pather), Durban (coordinated by Nadia Meer) and Cape Town (coordinated by Mike van Graan) to help mobilize artists’ involvement in the Campaign, both in the actual marches, and in contributing creatively and/or financially to the Campaign.